Official notification for UPSC NDA & NA (I) 2018 exam is released. Candidates can apply online till 5 February. 16 January 2018: Union Public Service Commission (UPSC) has released the official notification for NDA & NA (I) 2018 exam. The exam will be conducted for admission to the 141th course of the Army, Navy and Air Force wings of the NDA and for the 103rd Indian Naval Academy Course (INAC). Interested candidates can download the notification from the official website; www.upsc.gov.in. Visit the official website; www.upsc.gov.in. 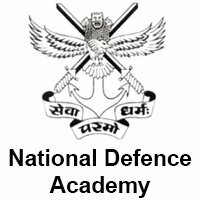 Click on “National Defence Academy and Naval Academy Examination (I), 2018” link under the “Examination” tab. Click on the pdf link in front of “Download Notification” notification. Candidates can apply for the exam online on the official website; www.upsconline.nic.in only. No other mode of application submission will be accepted. Click on the “Online Application for various examination of UPSC” link on the home page. Click on the Part I of the registration process. Complete it and then move to the Part II of the registration process. Please note that the application process will be successful only when you complete both the parts of the form. Candidates (except SC/ST candidates/sons of JCOs/NCOs/O₹) are required to pay a fee of ₹ 100/- (Rupees one hundred only) either through net banking facility of State Bank of India/ State Bank of Hyderabad/State Bank of Bikaner & Jaipur/State Bank of Mysore/ State Bank of Travancore/State Bank of Patiala, or by using MasterCard/Visa/Rupay Credit/Debit card or by depositing the fee through cash in branch of the SBI. The exam will be conducted at various test centres in different cities across the nation. Candidates can check the list of exam cities for NDA & NA (I) 2018 exam in the official notification.